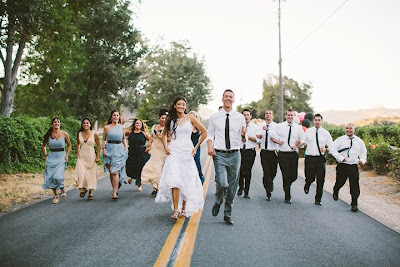 Today's real wedding is brimming with unique elements that seamlessly mixed fun and elegance, not an easy thing to do! 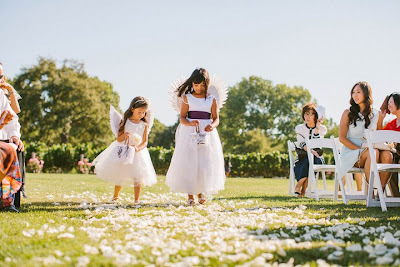 Jane and Andy were married this past July at Fess Parker Winery, Los Olivos, California, in a gorgeous outdoor ceremony and tented reception. 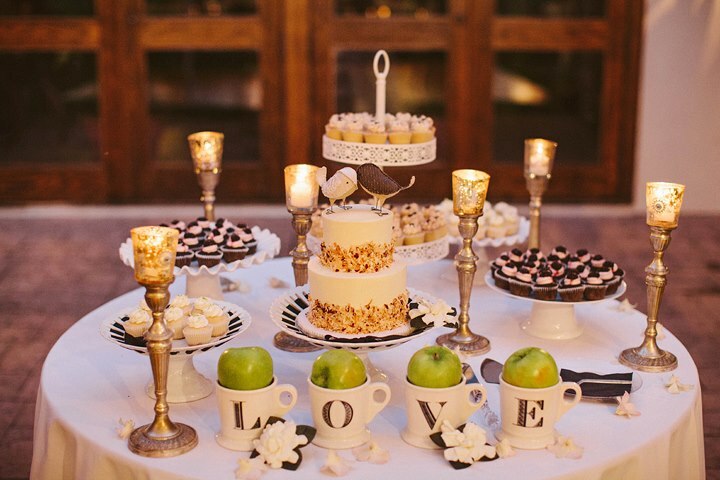 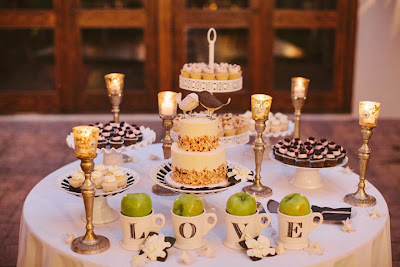 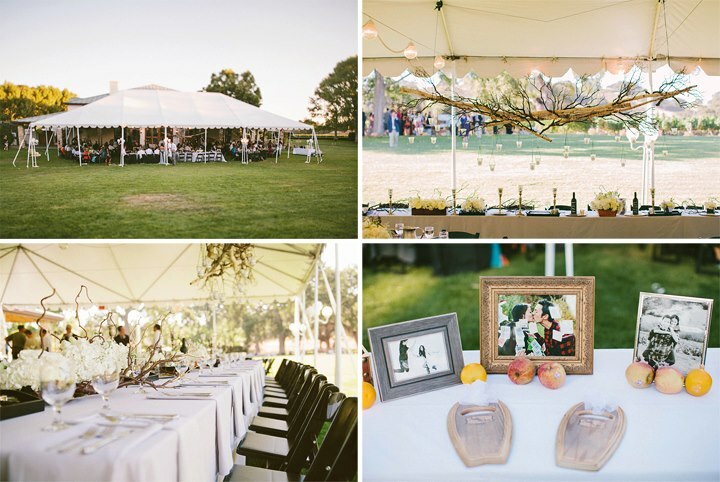 Carefully selected rustic, vintage and romantic touches all came together perfectly. 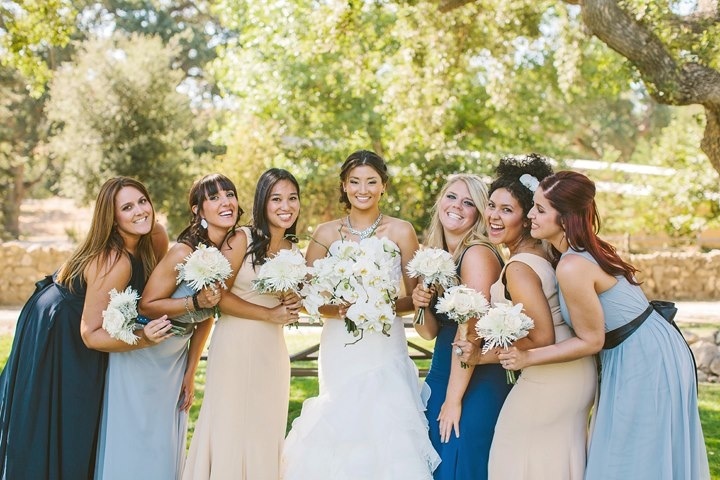 For her bridesmaid dresses, Jane decided to mix and match different styles and colors in a blue, gray and tan color palette. 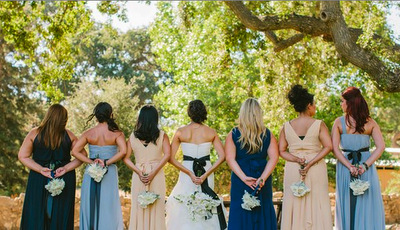 She made a mock line-up of the dress images ahead of time to envision the overall look. 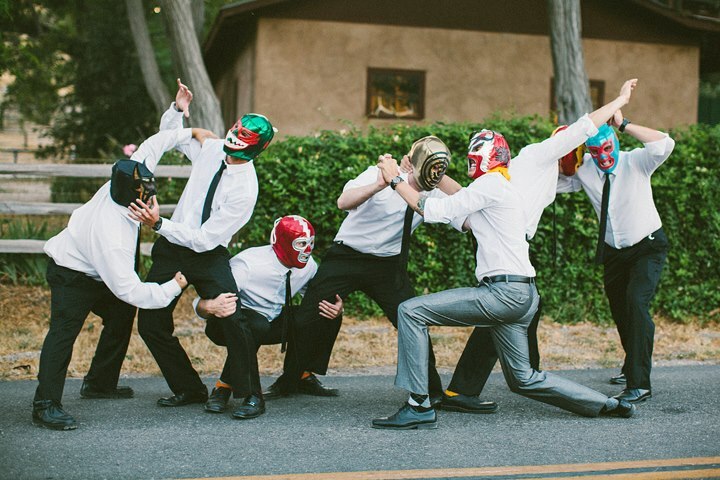 As someone whose husband follows pro wrestling, I got a good laugh out of the photo props for the groomsmen. 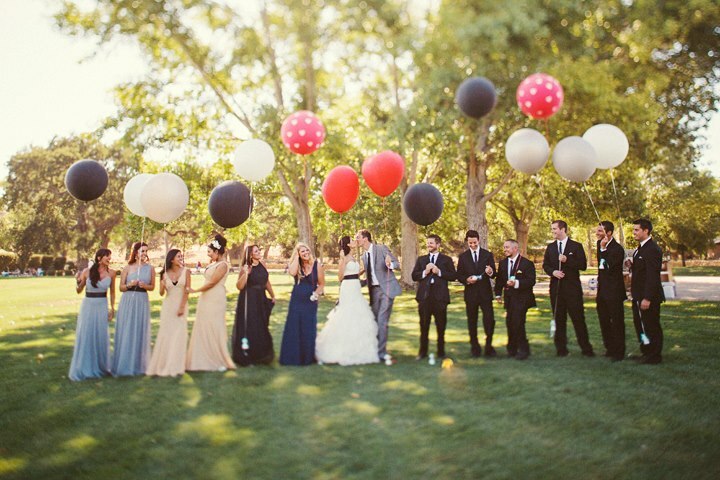 And how adorable are these oversized balloons?! 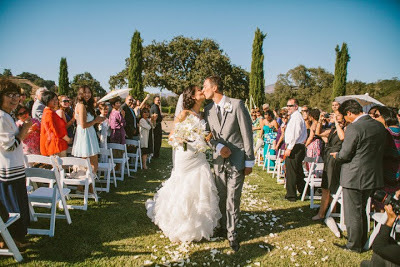 Congrats Jane and Andy! 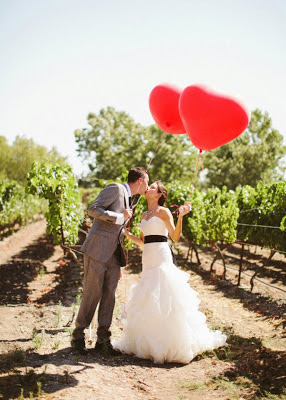 May your marriage always exude the joy and creativity that was so lovingly shown through your special day.